I’m happy where I actually live. Cebu, my beloved island in the heart of the Philippines, is my little corner of the world. My family is here; it is Home. But like a tree firmly rooted in fertile soil, whose branches nonetheless spread joyfully into the air, I constantly long for the experience of immersing myself in a different world. I still dream of catching — as the song goes — a midnight train going anywhere. I’ve done it before; I know I can do it again. I know it. If you’re like me, a small-town girl (or guy!) with big travel dreams, I hope the stories, tips, and tidbits in this site help you catch your own midnight train. Welcome, fellow wanderer! You can read about my travel philosophy here: The Small-Town Girls, Midnight Trains Travel Manifesto. Thanks Jess! I went over to your blog and loved it as well. I appreciate blogs that are not only well-written but also ring with sincerity and yours had that in abundance. Take care! Just came across your blog ..want to check it out asap!! !I love travelling as well. Hey, you write so well too! All the best. Like the way you write. Like the way you live life. Travel is your soul food, Running is my sole food. Hi, I am so glad you dropped by my blog, it has lead me back to you. I loved your piece on Venice, having visited there it brought back wonderful memories. I am an oldie, who worked hard for a long time, watched by kids grow up, and now have time to travel, and to photograph the places we get to! Your writing is refreshing, and I am sure you will inspire many new travellers. thanks again from dropping by, I look forward to following your blog. Thank you so much! I am glad you are getting to travel and enjoy life. What you said — “I am an oldie, who worked hard for a long time, watched by kids grow up, and now have time to travel, and to photograph the places we get to!” — that is what I dream for myself as well. If you get a chance, come visit the Philippines! the Philippines is on the bucket list 🙂 will let you know when it happens! We are ordinary people, but travel can make us extraordinary! Btw, very nicely organized blog site! Thank you! That is true — travel enriches our being. We realize we are only a very small part of a very vast world, but, at the same time, we realize how lucky we are. Hey!! I went over to your blog and I can’t even begin to list the coincidences. I saw you were in Paris in 2012; my sister and I were there 2011. That moment you described when your taxi went over the Pont Neuf — that’s exactly how I felt when I emerged from the subway at Champ de Mars. I went back earlier this year, and it looks like you’ll be going back this year too! I am excited for you, and a little bit jealous at the same time. 🙂 I’ll be following your blog too. Good luck and happy travels! I appreciate you dropping by my blog. Yours is very impressive! Someday, i’ll get to visit Europe too, I am a dreamer! Travel calms my soul and enriches my life! Thanks for dropping by my blog. It has led me here and boy do I love what I am seeing! Hope to see more of you! Thanks for stopping by my BLOG. Your work is amazing. I agree that half the fun is in the planning! Yay! Thank you. 🙂 You too. what a beautiful blog you have here! !, it’s nice to meet you. I love your mentality and how you long to see every inch of this earth. You are a beautifully evocative writer. I’m looking forward to reading more. Your blog is so inspiring and has me itching to travel! Thanks for sharing! Thank you for dropping by my blog, Your blog is amazing~!~! Thanks so much! That’s really what I’m aiming for — a site that people can get information from, and a place where I can chronicle my experiences as well. Thanks for sharing. From one wanderer to another. How lovely and sweet is this text… your blog is very authentic and full of passion! I loved it 🙂 and sure will be around here again! Thanks for the like on my blog here2where. I’m really looking forward to following your blog. You’ve grabbed me with your style. As another normal person who cannot afford to travel a lot, I am so inspired by you! Thanks for such a fantastic blog! I am just getting in touch to let you know that I have included your blog in my latest post – Six Awesome New Travel Blogs. You take in the travel blog is beautiful. Keep blogging! Love the free flow way of writing you have, it reads like we are actually talking. Cheers and keep travelling! Reading this about page was like reading about myself, you described everything I feel about traveling! Thank you very, very much for visiting my blog and so in turn I could find this one, it is wonderful. Thank you Grace! We have a saying in the Philippines: “libre ang mangarap” (roughly, dreams don’t cost a thing), so there’s nothing stopping us from dreaming! 🙂 I’m excited to read more from your blog; congrats on your own Freshly Pressed post. Cheers! I love your blog …very well done! I have not traveled much, but maybe one day …and for now I shall take time, when I can, to visit your blog and live experiences through your eyes and writings. Thank you Arl! I have been to your blog as well and loved the diversity and sincerity of your posts. I can relate to a lot of the things you wrote in your About page. All the best to you and your family! Hello, OMG one has to travel a long distance to comment on your about page. Testimony of your success and popularity. You may check my post to see my recommendation for your blog. I have nominated you for Premio dardos award. http://soulnspiritblog.com/2014/10/01/another-award-premio-dardos/ Please accept this and it is entirely your wish to do the needful. Love, Soul. So true! 🙂 Happy travels! I’m Nancy and am a freelancer. During searching I found your blog http://smalltowngirlsmidnighttrains.com/ very interesting. The writer in me is yearning to contribute a piece for your blog, maybe around 400-500 words, or whatever you are okay with. I will feel very happy to write for your blog. Hi Nancy. What topic did you have in mind? Your site is so inspiring for an aspiring traveler (in a very tight budget) like me. I can’t deny how I can relate to you.. YES, I’m a small girl with big travel dreams (but never tried traveling yet even outside Cebu haha). Will definitely follow your adventures! Good bless! Loved your blog for budgeted travelers like me…. Liked your piece on Philippines…. As its my soon to be next destination….. Keep Travelling…. Your father will know what to do! I believe they have to get a trip pass approved (by the PAL HR, I think) and they then exchange that for the actual ticket. If you get the 75% discount, it’s all up to chance, but if you just get the 50% discount, I think you can lock in your booking a few days before ETD. Also, if you can, it’s best to choose off-peak flights — middle of the week, middle of the day, or red-eye. Hope that helps! Very nicely done. Bravo!! What theme are you using? Thank you! 🙂 I’m using Reddle. Thanks for sharing your stories. I’m glad we connected. Cebu is also my second home where some of my family are. Love it dearly…but am unfortunately stuck living in Manila for the time being! I can’t imagine living in Manila but my sister, who’s been studying and working there for years, has grown to love it too. Amazing Blog Gay, keep it up! Am enjoying reading you…hope you might enjoy our blog too. Hello! Thanks for reading and commenting on my blog, mainly because I got to check out your blog which I think is great! I see that you live in Cebu and would love to meet up sometime if you are available. It would be great to chat about travel and blogging! Thanks Rachel! Yes, let’s do that, it would be great to meet you in person. What days/times are you usually free? I enjoy reading your blog. Looking forward to reading more about your travels. I love your intro and I can truly relate to it… If only we can fly like birds, let the wind take us to wherever it may be, or as Mark Twain said, go forth and catch the trade winds in your sail, BUT, in big letters, we have responsibilities… I have a big time dream though, I hope I can have it before I retire… buy my own little ragged yacht…hopefully by then… Im free to sail… 🙂 keep up your lively spirit. God bless you! Hello! Thank you for stopping by. Your blog is amazing. Thank YOU for stopping by too. And for your kind words. 🙂 Best of luck to you! So glad you stopped by my blog! Gave me a chance to explore yours…loved what ever little I have read so far. Was very intrigued by the name of your blog though – any particular reason? And thank you for stopping by mine. 🙂 I first thought of starting a travel blog when my sister and I were planning a trip to France & Italy, something I had never even dared to dream about because I always thought I wouldn’t be able to afford it. We were going on 3 sleeper trains on that trip. And then I heard the Journey song Don’t Stop Believin’ and the phrase just jumped out at me. I thought it was a perfect way to describe me and my sister, just small-town girls on our way to taking a midnight train. 🙂 Thank you for asking about that! Thank you for your response. Look forward to reading your posts. Ahak uy. Ayaw ana kay lawas ra atong puhunan. Haha! Hi Elle! I’m afraid I don’t know what you mean by the BI “documenting” your trip, but regardless of what happened in your past trips, the best thing you can do is to have the proper documents for any future trip. Good luck and enjoy Korea! Hi Lady Love! Thanks so much for taking the time to leave a message here, I really appreciate it. And thanks as well for the info about the express processing. I’m glad dali ra imong pagkuha sa passport. All the best to you! hi Miss lady love pwede mag ask pila ka working days ang rush process nila? I’ve really enjoyed reading through your trip to The UK and especially the sections on Skye. My great grandmother was from Dunvegan on Skye and I’ve visited a few times and think it’s one of the world’s most precious islands. One comment about The Jacobites, though. However much it has been sentimentalised by some Scots The Jacobite Rebellions weren’t Scots vs English nor Catholics vs Protestants. Charles, after all, wasn’t Scottish and most of his supporters weren’t Catholic. The gist of the campaign was the desire to restore an absolute monarch to Britain’s throne in the place of a monarch answerable to Parliament. Not so romantic as the popularised myth of course! I’ve subscribed to your blog and know I’ll enjoy future updates. Hey and thanks for the note back. Thanks, too, for your ‘Fairy Pools’ post. Rural Scotland always seems that bit more mysterious when there’s a bit of mist and drizzle. Must be a northern thing, as Norway is very similar. The losers in any conflict are almost invariably the foot-soldiers and the families of those who fell…and this is true for both sides. I don’t think the supporters of the last Jacobite rebellion were any more sincere or ardent than those on the government side who were fighting to keep a fairer system of government than we had under the Stuart kings. Please don’t step off on my account. 🙂 It’s actually very interesting to hear a different point of view because as a tourist, I tended to hear more about Charles and the bravery and loyalty of the people who supported him. But even our guide (Andrew MacDonald – any relation, by the way?) expressed doubts that Scotland would have been better off under Stuart rule. Thank you Sony! Looking forward to exploring your blog too! Hi Carl! It would depend on the topic. Do you have a blog? What would you like to guest post about? Hello po. My Nephew needs an express passport. He is in Manila and his appointment is on May 26. His company in Japan needs him by First week of June which he was just informed lately. Your branch is having an Express processing and can he get his passport on your branch at an earliest time. Please reply po ASAP. You have a lovely blog; look forward to reading many of your posts:) And I fully identify with your introduction; I am also like that!! Hi Pinky! I haven’t tried getting a passport under the current system (where you set an appointment time online) so I can’t be sure. However, the last time I obtained a passport, we were in the priority queue because I was with a minor and two senior citizens, and it took us less than an hour from the time we entered the office. I hope that at least gives you an idea of the time you’ll need. Good luck! Your blog is very helpful and I’m so thankful to have come across your page. I hope you take a little of your time to answer my query. I’m currently in Canada and I have to go home to Cebu for an emergency family concern. I booked a flight on November 28 and will have to return to Canada by December 18. My passport expires on May 31, 2017 which is less than 6 months than the allowed time. I have already renewed my passport here and had requested that my new passport be sent to DFA Cebu instead so I can claim it while I am there. The problem is, the claim date they gave me is Jan. 11, 2017 which is way past my return date to Canada. My question is, do you know or have any idea if I can ask DFA Cebu to have my passport ready before my flight back to Canada? Have you encountered any similar case such as mine? Hi Norlissa. What I know is DFA offers expedited processing — 10 days for DFA offices outside Metro Manila — but I don’t know if they will let you opt for expedited processing retroactively. I suppose your best option would be to call the consulate in Canada and ask them if they can (or if they can communicate to the DFA Cebu office to) expedite your passport processing so that it will be ready before December 18. Sorry I can’t be of more help. Good luck! Hello guys need nako ang inyong help kung naa pa ba tong mag linya for passport renewal? ky late na kaau ko nakahibaw nga ang pag renew sa passport online naman diay. then ge tanaw nako sa website sa DFA wla nay slot for January 2017 then ang akong balik sa gawas is Feb 24 2017.. anticipating your warmest reply guys and God Bless! Hi good afternoon. Asked ko lang po pwede po ba na walang driver’s license na kumuha ng first applicant passport? Hindi mo kailangan ng driver’s license. …tapos i-compare mo sa kung anong documents ang meron ka. HI, I sent payment for a visa pack and 11 day Paris- Venice…itinerary, via Cebuana Lhullier March 31, 2017, tracking#: P8Y5V9H211. It seems like my email didn’t go through. Please update me. The only email I received with your name on it is an email sharing the Schengen Visa Pack article with me. (You can see the screenshot of that email HERE.) That may have happened if you clicked on the “Email” button after the article. If you have sent me payment through Cebuana Lhuiller, please send me a clear photo or a scan of the transaction slip, as clearly instructed in both the Schengen Visa Pack article and the Comprehensive 11-Day European Itinerary article. I did try to email you but all I get is a Mailer Demon reply. Any other email I can send it to? Why don’t you email me at : wing_bustamante@yahoo.com and I can just reply to you. Thank you. Could you please take the time to re-read the instructions regarding the Schengen Visa Pack and the Comprehensive 11-day European Itinerary and verify if the email address you used is the email address you should be using? I am pretty sure that email address is still working because: (1) since April 2, the date of your first comment, several others have successfully purchased the itinerary/visa pack and communicated to me through that email; and (2) I sent a test email just now and it got through. If you haven’t already, please refer to my reply to your earlier comment as to how you can receive your copy of the visa pack and the itinerary. Hello i need get firstimer passport for travell fast passport can u help me.!? I’m very sorry — this is a travel blog, not a travel agency, and so we don’t do things like assisting people applying for passports. Dear Gaya, that pinch me please, am I dreaming? Feeling is what I had the whole trip to Rome. The sistine chapel, the coliseum, all of it, I treasure my pictures because it was our last family holiday all together before my daughter graduated into the big world. Yes! It’s a wonderful feeling, surreal, and even better when you get to share it with family. Thank you Lorelle! I’m looking forward to reading more of your blog as well. Happy travels to you and your family and best of luck with your blog. A baptismal certificate is NOT a requirement for a passport. You can take a look at the official list of requirements HERE. If an applicant has no birth record, a baptismal certificate CAN be submitted to support a newly registered birth certificate, but it doesn’t have to be a baptismal certificate; it can be any public document with the applicant’s correct date and place of birth. Hi Cathyjanz! For the Netherlands, I would suggest you go through the info on this site: http://www.vfsglobal.com/netherlands/philippines/ Good luck! Hi Geline! Thanks so much for your kind words! Did you send me an email about the visa pack? I looked through my Inbox but didn’t spot one from the email address you’re using here. Let me know. Thanks! 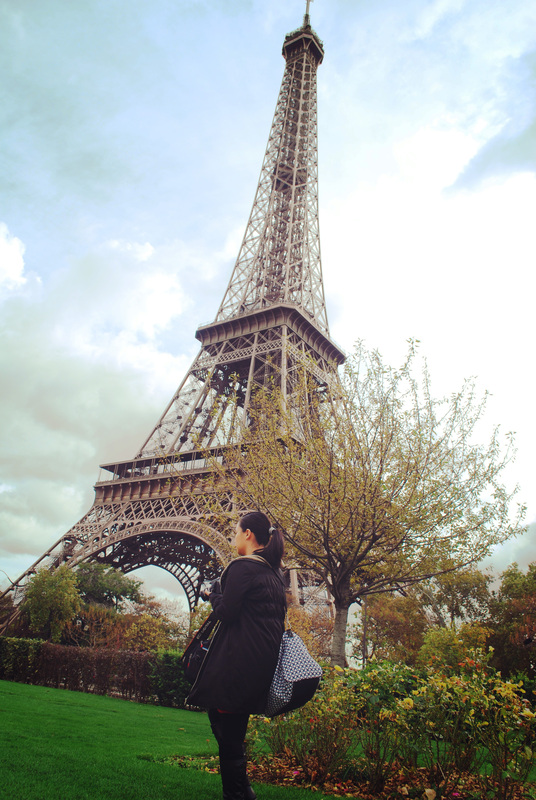 Hi Ms. Gaya, travelling to Europe is one of my biggest dreams. Last Monday, I already applied for Schengen Visa and they already informed me to collect my passport on this coming Monday. I am hoping for the Schengen visa sticker on my passport. I really love your blog. Keep inspiring us. God bless. So how was it, did you get a Visa? 🙂 I hope you did! Thanks so much for this comment. It really makes me happy when I’m able to help/inspire other people to travel and keep dreaming. Hi Can you please send me your Detailed travel itinerary which you used for the Netherlands Visa. I am going to apply for Netherlands and have the plan to visit the paris too. hi, i availed the visa pack@P99 thru paypal. i did not receive any email response until now. I sent the Visa Pack to you on Fri, Mar 30, 2018 at 8:39 AM. Could you please re-check your Inbox and maybe your Spam folder as well? I can also resend them to you or to an alternate email address if you like. Just let me know. I’ve read your article on Rappler about getting a Schengen visa from the Italian embassy. I come from Manila but I’ll be relocating to Bohol this month. I am planning to travel to Europe for 3 months in winter. How long did it take for you to get your visa/passport back after you applied in VIA Cebu? I need my passport back a month before I start traveling to Europe for a short trip to Taiwan. I only experienced applying for a Japanese visa and it took roughly 10 days before I got my passport back. Will it be quite the same as Schengen visa with application thru VIA Cebu Italian embassy? I think the processing times depend on the season. When I first got a visa through VIA Cebu, I applied in November, I was the only one in the office, and I got my visa after a week. This year, we applied in February, there were tons of other applicants (because Holy Week and summer was coming up), and some of us got our visas ~17 days after application. Some of us had to submit additional documents and got the visas ~32 days after application. I would recommend that you apply as early as possible (as early as 90 days before your departure for Europe) and that way you can be sure to have your passport back by the time you leave for Taiwan. Well written intro… I just read an entry about Nacpan. Loved the part, “what’s a nice word for brown, golden”. Hi. You’re college mate Aurea pointed me to your blog and I fell in love. Reminded me of myself at a time when I wrote travel blogs for a Flip mag in Indiana. Made me want to document my wanderlust again. Keep it up!